Getting outside in Bend is easy, it is almost always sunny and the views here are spectacular. 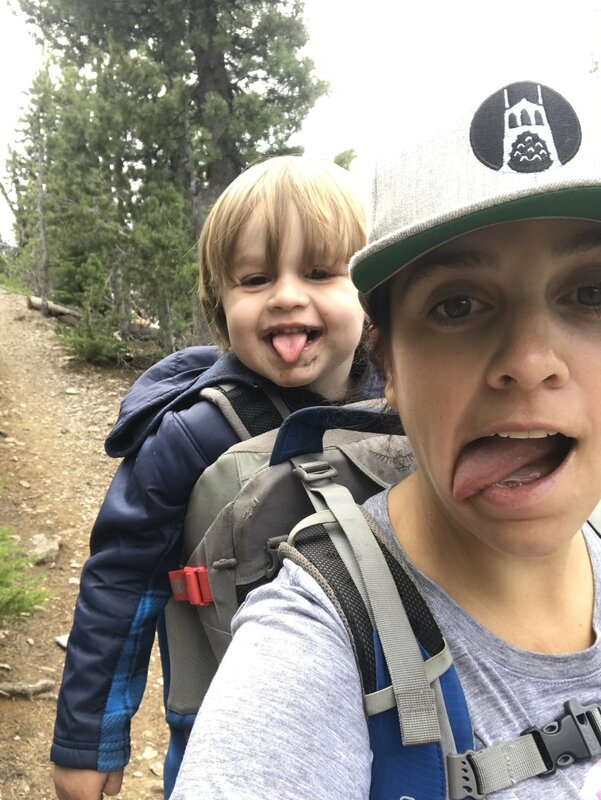 This summer we decided to challenge or family and pick 4 peaks to climb, we chose: Tumalo Mountain, Paulina Peak, Black Butte and Mt. Bachelor. We told the boys if they completed all four climbs they would be reworded with dinner and mile high mud pie at Red Robin. They were super excited for this, because I mean, who can turn down mile high mud pie. The first peak we tackled was Black Butte. The morning was chilly and we were not prepared. Tim and I ended up putting on extra coats we happened to have in the car on the boys and we headed up the trail. The cold did make the hike extra beautiful; it was like walking through a winter wonderland with the frozen trees glistening in the sun. The boys were excited to reach the top and find the fire tower. On the way down the sun had melted all the ice and it was a new hike through green trees. Next was Paulina Peak, we had a clear day and magnificent lake views on the way up. We stopped for some sandwiches while enjoying the views and then continued along the way. 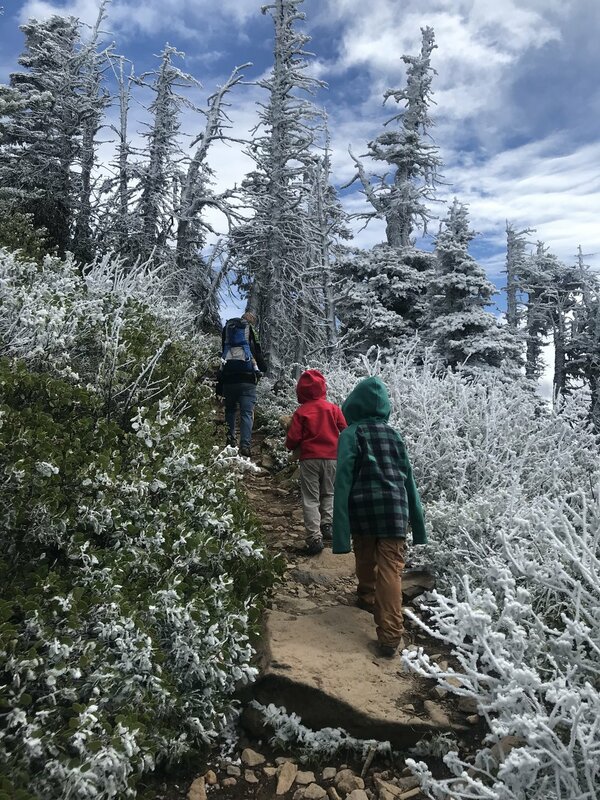 As we got closer to the summit the kids were excited to find informational signs telling them about the different tress, bugs and other things we discovered along the way up. At the top you are greeted with mountains ranging from California to Washington, it is nothing short of spectacular. Tumalo Mountain was the third hike and the boys struggled on the way up, we took several breaks but it was a hot day and once we cleared the trees they where dragging. They made it to the top only to be greeted by a strong cold wind. They were scared of being blown off the mountain (you know, kids) so they huddled on a log to eat some snacks and then finally enjoyed placing a rock on the pile along with fellow hikers. I will say as slow as they climbed up, it was like a swarm of bees were chasing them down because they sure flew. They got down in less than half the time it took them to get up. Finally came Mt. Bachelor, we knew this one would be a beast. People told us we were crazy for having the boys summit this and that they would never make it. You know that will power that I mentioned my son Edison has, well he may get a little of that from me. I knew they could do it, and not only did they do it, they crushed it. They each had their own water packs and we stopped for a little lunch when we reached the halfway point. They kept climbing, once we got to the top they knew all they had to do was get down and that mile high mud pie was theirs. This was the hardest descent we had done. The kids were used to running down mountains but the lose rock made that impossible until about halfway down. They stuck with it and earned their mud pie and now we have to find new mountains to climb next year. Black Butte began with a winter wonderland, as we hiked down we saw the frost melt, the trees turn green and we could feel our fingers and toes again. 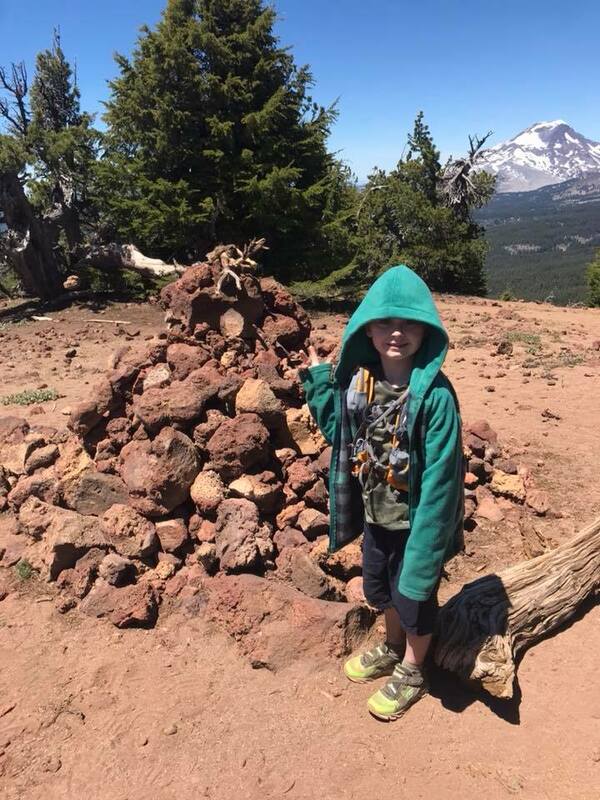 Tumalo was hot and especially tiring for the boys but the really enjoyed adding a rock to the big rock pile at the top and the views were stunning. We had a great hike up Mt. Bachelor, we knew it would be a tough climb so we made sure to find lots of places to stop and have fun along the way.